Black watches are the perfect accessory to nearly everything in our winter wardrobe. 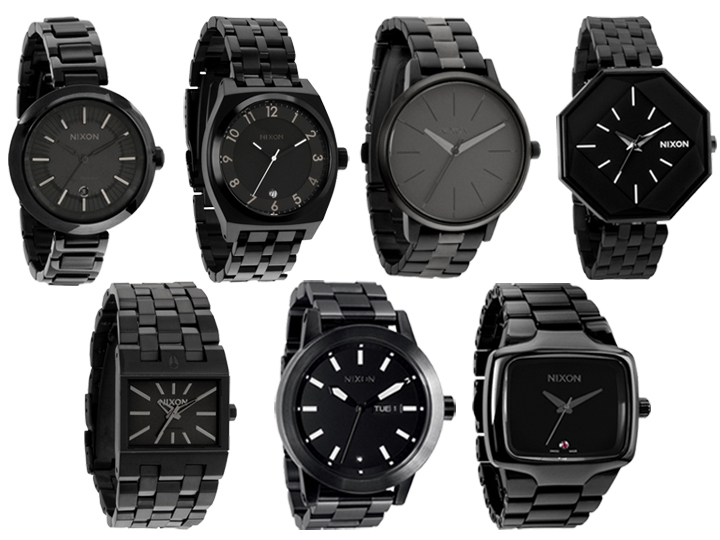 We are currently loving these Nixon black watches so much that they've become our latest Fallon Obsession! They add just the right amount of edge to any outfit and transition seamlessly from day to night. Pair black accessories with bright colors to neutralize the look or add a black watch to a head-to-toe monochromatic black ensemble for an effortlessly chic timeless look.